WANT TO LEARN HOW TO SAVE MONEY FASTER FOR THE THINGS YOU REALLY WANT? The ‘Bright Spenders Spending Planner’ Program! Discover How To Quickly and Easily Budget Your Money So That You Can Save Faster For Your Dreams. 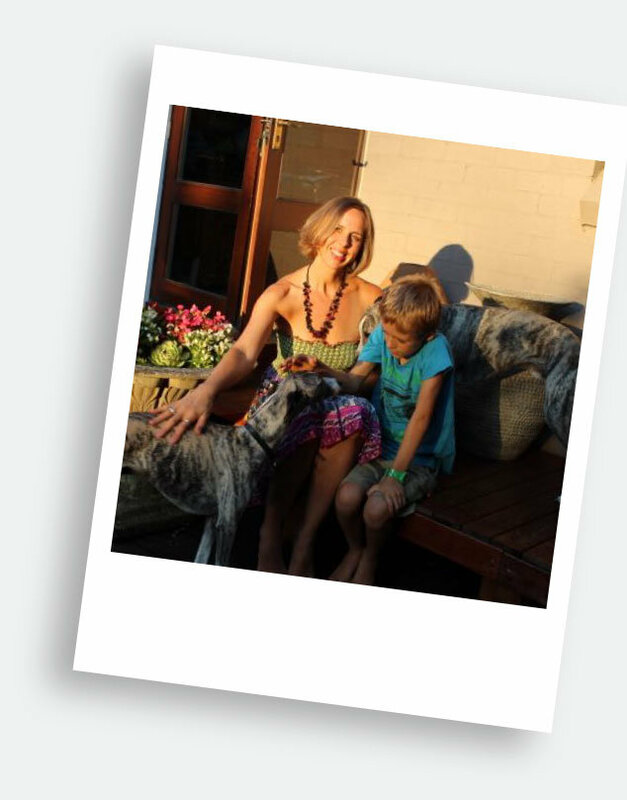 Leading personal finance coach, Anthea Falkiner, reveals the exact workings of her highly successful budget planner system responsible for families all around Australia finally achieving their financial goals. It’s essential knowledge for getting ahead – even if you’re on a low income! The “Bright Spenders Spending Planner Program” is a complete game changer. Forget budgeting planners or apps that look in the rear-view mirror. We teach you HOW to budget and save effectively. With just 20 minutes a week, you can forecast the perfect spending and saving year, manage your money with ease, and have the peace of mind that all your bills will be paid on time. Money stress is one of the leading causes of relationship breakdowns. Without a budget planning system you are vulnerable. Very few of us were ever taught how to budget and save our money in such a way that we can get off the hamster wheel! It’s not what you earn, it’s what you keep that will be your greatest asset for building your wealth into the future and for creating the lifestyle that you deserve. Managing your money without the right guidance isn’t easy – there are so many things to learn, implement and get right. Getting ahead and saving for your future can be a real struggle – no matter HOW much you earn – I get that. One of the advantages of now having worked with all sorts of income earners, across many different industries, is that I’ve done my 10,000 hours. I’ve worked as a Budget and Finance Coach with dozens of individuals and businesses across just about every industry from accountants and advertising gurus to yoga teachers and landscape gardeners, and just about everything in between. No matter what the industry or the level of income, we’ve found that, like a doctor, we prescribe the same medicine over and over again, to help people budget effectively and save faster for their dreams. Did you know that most people, regardless of how much they earn, struggle with knowing how to budget and save effectively? Manage your cashflow so you get ALL your bills paid on time, every time, and don’t have to stress about it. Spend less than you earn so you can put money away for the future or for emergencies. Take advantage of pay on time discounts. Pay off any bad debts fast to free up ALL of your available income for the things you truly value. Build a financial nest egg for your future. Save money faster for important life goals like owning your own home, paying for kids private schools or travel. Build a long-term sustainable money management system that is completely customizable for every life stage. Nurture, build and maintain great relationships with your partner and children around finances. Teach your children how to be effective money managers. Have you ever wondered why it’s so hard to get ahead when you’re earning a decent income? Are you stuck because you have no budget planner or system for managing your money, and zero time to manage it anyway? And how DO you actually ‘spend less’ when the cost of living goes up every year? That’s OK. This is what I do, and I’ve taught countless others just like you how to budget and save effectively, so they can finally get ahead. I’m confident to say, help is on the way. You can’t be expected to know how manage your money without the right information – that you’ve never been taught, the right support, and the right tools to get on track and stay there. Even if you’ve used excel spreadsheets and budgeting apps galore to try and manage your money, or kept receipts for every purchase, those things won’t help you to plan your money in the future. They’ll just tell you what you SPENT money on. What matters is first understanding WHAT the missing link is, learning HOW to manage your finances with the most effective budget planning system possible, and getting advice and support to stay on track on the path to financial success. Knowing exactly HOW MUCH money you need to have in the bank right now to cover ALL of future expenses, AND knowing WHEN you can spend money and when you can’t. Managing cashflow, especially when on a casual wage, freelance or other self-employed type of income. Have worries about money turned you into a flea in a glass jar? Having worked with many, many clients to resolve their money issues I’ve noticed a very common phenomenon. After a while money problems numb you into denial. You start to accept your current financial state as your LOT in life, and that there’s nothing much you can do about it. Ironically my clients started to spend MORE money as a way of avoiding their feelings around their unmanageable spending habits. It reminded me of the flea in a glass jar experiment. Have you heard about it? In an experiment, a scientist placed some fleas in a glass jar. They quickly jumped out. Then he put the fleas back into the jar and placed a glass lid over the top. The fleas began jumping, hitting the glass lid, and falling back down into the jar. After a while, the fleas, conditioned to the presence of the glass lid, began jumping slightly below the glass lid so as not to hit it. The scientist then removed the glass lid, as it was no longer needed to keep the fleas in the jar. The fleas learned to limit themselves from jumping beyond the height of the lid, even if the lid was removed, as they had been conditioned to the fact that they couldn’t escape from the jar. I want to help you lift the lid and get free again. Your current financial situation is NOT you, and it’s not your fault. It’s the system that’s broken. Did you know there’s a number MISSING on your bank statement? Did you know that when you log in to your bank account there’s a number missing? All those fancy numbers and the most important number ISN’T THERE. And without that number it’s IMPOSSIBLE for you to know whether you’re overspending or not. YOUR missing number is the number your bank balance NEEDS to be TODAY to cover all your future expense. That’s why I keep saying, it’s not your fault! If you don’t know what your bank balance needs to be TODAY to cover all of your expenses, how do you know when you have spare money to spend? This program will teach you what YOUR magic number is, and unlock the secrets of great money managers the world over. When you see how empowering having YOUR magic number is, every day, 365 days of the year, you will wonder why you hadn’t learned this system YEARS ago. An important point I hope you ‘get’ is that many people are focused on increasing income, but we’ve found that earning more doesn’t solve the problem. Countless people we’ve worked with tell us that even when they got a pay rise, they still never seemed to have any money left over. And it didn’t matter whether the pay rise was $20k or $200k+. With each raise their lifestyle costs also rose, and they still found themselves either more in debt, or not really saving anything. No matter how big your income, if you don’t manage your expenses, your expenses will pretty soon eclipse your income. You need a complete money management system that’s easy to use, customizable for your lifestyle to help you run ‘the business end’ of your life – a system which does all the maths for you and spits out your magic number – the most important information you need today in every spending situation. A Spending Planner is the ONLY professional who can teach you this stuff and set you up with a system that you can use for life. Your accountant can’t show you how to do it – They’ll look at what you spent and work out a way to minimize your tax. A financial planner can’t show you how to do it – they’re great if you already have savings and are ready to invest. A book-keeper can’t show you how to do it – they’ll show you how to keep beautiful financial records. No-one else teaches this stuff, which is crazy because it’s one of life’s most important things to learn. Sadly, Financial IQ, and a great money management system, are the missing pieces of the puzzle for most Australians today. And it’s crazy because money stress keeps people up at night, damaging their relationships and health. How’s your sleep? Your health? Your relationships? Read on and I’ll show you exactly how I’m going to teach you to manage your money, taking the pain out of budgeting once and for all. I’m the first to admit my faults. Especially around money. I, like most people I know, was never taught how to budget and save money. At 18 I was given a credit card and, later, a bunch of shares from my grandparents without any instruction manual for how to use and manage either. Years later when I married I found myself still with that credit card debt, a massive mortgage, two kids, a casual income, bills piling up all around me, and no system to manage it all. I totally didn’t want to hear it. Instead I stuck my head in the sand and hoped it would all work itself out without me having to do too much. It got to the stage where the money stress was starting to affect my marriage. We were mortgaged over our heads, and having to remortgage again and again to cover our expenses. My husband asked me to sell my shares in order to pay a debt, and I started to feel resentful. With those 6 words she jolted me into the reality that if it was to be, it was up to ME. I looked around for a solution to the problem. I read books about budgeting, tried excel spreadsheets, various apps and collected receipts and wrote down everything we spent money on for at least a year. All of it helped a bit, but it never really solved the problem. Budgeting showed me that it was possible to pay all our bills, but didn’t show us HOW to do it. We’d write out a budget and then, a few months later, be wondering where that bit of paper was! And then I came across this dynamic system which has now helped more than 30,000 people manage their finances with ease and finesse. I started using it and it exceeded my expectations by 200% or more. It was like having a budget on steroids! All I had to do was to learn the system, plug in my details, expenses, income – all the regular and unexpected expenses – and it would spit out a crystal ball view of my finances for the next 12 months. From then on, we always just knew that we had enough to cover everything plus a little bit more. Seeing it all so clearly was super motivating and allowed us to pay $50K off our mortgage and buy two investment properties within the first two years that we were using our new system. Over the next 8 years we seemed to always find ourselves feeling good about money, even pinching ourselves, and arguments about money reduced by about 1000%. I told heaps of my friends about the system, and the ones who tried it had exactly the same result. By then so many people were asking me for help managing their money, and we were getting such good results, that I decided to dedicate my time to it. I wanted to help more people like you and I, reduce stress and create the financial freedom you want and deserve. That’s when the ‘Bright Spenders Spending Planner Program’ was born – The perfect combination of education, mentoring and support combined with incredible software that’s like a GPS system for your finances. I resisted the idea for nearly 2 years, but Tania was right. This system is incredibly powerful for people wanting to pay off their debts and finally get ahead. It’s helped thousands of individuals and businesses already. I knew I didn’t have some ‘super power’, and that you couldn’t learn it for yourself. So many of our clients are taking our proven step-by-step system, implementing it for themselves and getting the same results we did. The Best Budget Planner for Creating Savings and Eliminating Money Stress In the World. Getting your finances on track once and for all. There are THREE phases you will go through on your way to money management success. Guide you step-by-step through the process of setting up your personal Spending Plan. You’ll receive one-on-one mentoring with your personal Money Coach, a fully certified Spending Planner who’ll help you optimize the system for your lifestyle. By the end of phase 1 you’ll have the right bank account structure set up, be gathering your expenses, and entering them into this powerful system. Work with you to ensure your success in using the plan. We’ll keep in touch weekly to make sure you’re right on track, holding your hand every step of the way. We’ll expect you to keep in touch too so we can monitor your progress. Tweak your Spending Plan to Fast-track debt reduction and increase savings. Meet one-on-one every month (via video conference) to help you refine the system to fit even more neatly with your lifestyle, so money becomes a silent partner, rather than a nagging dictator. Teach you how to adapt your Spending Planner when life throws you curve-balls so you can use it in every life situation. Help you identify areas to save even more money so you can fast track your debt payoff. Show you how to get better deals on your biggest expenses and avoid the ‘lazy tax’. There are Eight clear steps, carefully designed and based on what has worked successfully for tens of thousands of past clients. We’ll show you what we do to systematically supercharge our clients’ savings, building their confidence with money & generating more available cash for the things they really want in life. What I love is its simplicity and ease of use. It’s the system you need to grow your savings using leading edge Financial IQ, mentoring, software and support. Your time is valuable, so we’ve designed it succinct and to the point – You need the key points, strategies and techniques in the shortest amount of time, with clear step-by-step plans for how to implement them. We deep dive into your finances to lay the foundations for building your stairway to financial freedom. A powerful goal-setting process to learn about your desires and drivers. Confidentiality is King – Your information is always treated in the strictest of confidence. The SIX types of expenses we all encounter. Understand each type to gain control of your money. Over 30,000 people have used this tool to pay off their debts and gain complete control of their money. A guided tour, taking you step-by-step through setting up the system that’s going to take you from floundering to free. A Proven Roadmap for ‘How to Save fast for any major goal’ based on our combined experience working with tens of thousands of people. We help you create a comprehensive checklist of everything you could possibly spend money on, so you can prevent spending leaks. We identify ‘needs vs wants’, and bust apart limiting beliefs keeping you trapped in the “Bright Shiny Object” hamster wheel of spending. We create a customised plan for fixing up ‘hangovers’ from your past – outstanding and overdue debts – getting the monkey off your back once and for all! Successful Scripts for negotiating payment plans for debts and overdue accounts. Your Spending plan will allow you to take a sneak peak into the future and make decisions about what else you can fit into your plan. One-on-one Meet with your Spending Planner who’ll help you interpret your data, and customise it fully for your lifestyle and goals. Learn about ‘Crawl’, ‘Walk’ & ‘Run’ type expenses – Decide which goal is your highest priority, and have fun with highlighters! Use your Spending Plan to model various life scenarios so that you can see exactly what would happen if you did X, Y or Z. Guilt free spending – Building in fun to make your Spending Plan a pleasure to follow. Future Gazing – See the exact date when you can start lifting your foot on the fun ‘brake’. Avoid common pitfalls of scrimping and denying. Meet your Spending Planner to iron out any ‘kinks’ and set you up for success. Weekly Check-ins keep you accountable to your plan, building your confidence with each day. Monthly mentoring sessions commence. We target key expenses to save you more, and get you to your goals faster. We also teach you how to adjust when life throws you curveballs. Why Accounting and Record-keeping will NEVER help you save. Checking in with your Spending Plan is now the motivating highlight of your week as you watch your savings grow. The SP Dashboard – a 360 degree view of your finances – Interpreting YOUR data for maximum results. And you’ll know exactly what your emotional blindspots are when it comes to saving and getting ahead and how to confront them head-on. ‘Millionaire Mindset for Success in Business & Life’ – Tony Robbins says “Mindset accounts for 80% of success”. This video training by my own coach, Greg Cassar, is crucial to your success with money, whether you are in business or a wage earner. ‘The Differences Between the Way Rich & Poor People Think’ is a confronting but powerful video training. Learn to think like the rich rather than the poor and reap the benefits. How to overcome limiting beliefs holding you back from the success you deserve. Managing Emotions for Success so you can calmly and consistently take the actions you need to get results. Want to ask questions and learn from other Bright Spenders SP Program members? How about for lifetime after the program? This is the way to do it! Leverage the group mastermind dynamic with like-minded people on a mission to reach their financial goals. Keep up to date with new, relevant budgeting and saving tips, industry news and Software changes & updates on an ongoing basis. You’ll love being a part of this community. Are You Willing to Do What it Takes to Fast Track Your Savings Success? One thing I find frustrating and a bit silly is that most people stop their education process when School or University finishes. For me, and most likely for you if you’re reading this letter, finishing school is really the time you need to take it up a gear and invest in your knowledge and mindset growth for success. By doing this you’re doing things that others are not willing to do to get results that others will never get. Lot’s of individuals and couples I meet want the results I get but not many are willing to do what I did to get the knowledge, skills and mindset for rapid success. Follow the step-by-step journey in the Spending Planner Program that condenses everything I’ve learned about growing savings and wealth into 6 months. I’d love to say every idea in the Spending Planner Program is 100% mine and unique, but the reality is that all people who are elite in their chosen field take on coaching and mentoring to take it to the next level. I consulted EVERYBODY that I knew who’d had success with money, savings, budgeting, wealth mindset and financial IQ. I travelled all over attending seminars and masterminds, mixing with the very sharpest minds. Don’t let the fact that it’s a 6 month program fool you. Over 12 years, 10,000 hours of learning and experience, and 8 months of development went into it. It’s truly the best of the best if you’re serious about SAVINGS and CASH in your pocket, getting to your goals fast, using a leading edge, proven system. Everyone’s focused on earning more, keeping receipts and tracking everything they spend money on, but having a plan for the FUTURE, and following it is a much more powerful focus, because it shows you step-by-step what you need to do to reach your goals. This Step-by-Step program is delivered through a combination of emailed modules and one-on-one training, starting with Step ONE on your very first day. When you’ve completed each step and let us know you’ll receive the next. Right from the start we’ll set up FOUR weekly sessions to guide you in setting up your customised Spending Plan. You’ll be exposed to this advanced money management training in a logical order that follows on from the previous weeks module. All the theory you need, plus the support, to tailor it to your lifestyle. You can look over my shoulder as I record my screen and show you how to create and follow your vision and plan. We’ll also give you step-by-step implementation guides to make the process super easy. The system is simple and FAST to learn so you can get going immediately. Your best ideas have got you here. If you’re like me you’ve probably tried everything to get your finances on track: keeping detailed records of everything you’ve spent money on, reading a ton of books that all told the same message: ‘You’ve got to spend less than you earn’. And your best efforts have got you to the place you’re at right now: Feeling like you’re chasing your tail. It’s easy to think that you’re defective, but the truth is you’re simply missing the critical information YOU need to manage your finances with complete clarity and control: The missing number that your bank balance needs to be every day of the year to balance all of your accounts. If you’re like me your time is extremely precious. While I was trying to figure out how to make my cashflow work I was missing all sorts of wealth generating opportunities, not to mention doing things that gave me joy. The simple fact is that you DON’T have to reinvent the wheel. Over 30,000 people are already using this system successfully to manage their finances with ease. Imagine how much faster and easier it is when you follow a proven system, that builds in all the learning of the thousands of “Pioneers” before you. They made all the costly mistakes before becoming successful money managers so that you don’t have to! Comfortably able to afford school fees so you no longer have to worry about scrimping for your kids’ future. Taking that exotic overseas trip you’ve always wanted to do but felt was just a pipe dream. Building up a nest egg for your retirement so that you never have to worry about working until you’re 90 again! Calm and in control of your money, putting you in a position of power so you never have sleepless nights over money again. Building enough of a buffer so that you never having to take on work that you dread ever again. Creating an emergency fund to prepare for times of crisis and stress. Saving much faster than you’ve ever been able to before with the proven leading edge forecasting tool of the Spending Planner system. Increasing your self worth and confidence as a money manager so that you’re inspired and open to more wealth-generating opportunities. Excited about your future and on the same page as your partner so that you never have to argue over money again. Role-modelling and teaching your kids the value of money, and how they can take control of their financial future just as you have. We’ve achieved all those things for ourselves and our clients and I want you to get the same freedom and feeling. A friend said to me the other day, ‘You look amazing – What have you done different?’ and I jumped in with a smart, half-joking reply of ‘Cash agrees with me’, meaning, I love feeling secure in knowing that my savings are building and that all my bills will be paid. Having a pot of savings growing definitely makes all your other problems in life much more solvable. I’m one of those women where people say ‘she got lucky’ but the reality is luck is ‘Labour Under Correct Knowledge’ – What about you? Are you a talker or a doer? Will you take action today and invest in your knowledge to increase your ‘LUCK’? Using our Spending Planner has changed my whole relationship with money. That began a new confidence with our household budget. Spending Planner allows me to look at the year ahead and see that I have the funds to manage our family life. Previously I was completely in the dark, was anxious all the time, and had spending habits, although modest, that were actually sending us backward. Our family has faced some really big challenges in the last three years, and knowing where I stand financially, and exactly how much is needed in various accounts to keep things running, has supported me substantially. I actually don’t know how I would have managed this period without that. I’m a 46 year old mother of 3, personal trainer and business owner. I was budgeting anyway, but thought this was probably a more efficient way of doing it so I decided to give it a go. I enjoy doing the Spending Planner Program because it shows me where I’m at with everything and I know that I’ve got the money to cover the bills when they come in. I’ve also been able to save us some money for a home loan deposit and I’m pretty excited about that. It looks like we’ll be able to buy a house in two years. I probably doubted whether I could be disciplined enough in setting everything up, but we actually paid off our credit card which was a big thing and we don’t use it any more and we’re now saving $400 a month, so I’m pretty excited about that. I’m more relaxed. I don’t worry about money. If you’re thinking about doing it give it a go. It’s a great plan. “Sharing a lot of gratitude and relief for having found Spending Planner. ultimately it came down to a personal referral. Someone we trusted had had an incredible result, with Anthea specifically, but on the Spending Planner program. My biggest fears were that I wouldn’t have enough time to manage the finances properly and with a lot of accountability. The doubts that have been addressed by the service have been phenomenal. I now see it’s quite a light touch. All I have to do is stay within the plan. I don’t have to worry about whether I have enough money. It’s all been pre-programmed, we’ve worked through every single detail, and it’s all just automated now. So it feels really good. I’m so happy with the outcome. I feel like we’ve got a really rock solid way to move forward and I’m really looking forward to our weekly check-in because I know we’re going okay, and we’re actually going to reach our financial goals, and it’s a miracle actually. I’ve been working with Anthea Falkiner and the Spending Planner Program for the last six months. It’s really helped me to feel more empowered with money, with my budgeting, creating more structure with my spending and savings, and I would highly recommend it to anyone. I wish I’d had the Spending Planner Program when I was bringing up 4 children! We had great assets, good income, but I managed to spend far more than our income, and had no way to track my spending. The best thing about The Spending Planner is that I now know EXACTLY where my finances are each week, without having to cut out the good things from my life. I’m thrilled to know any medical costs are covered, and after two months of accumulating savings, we can make some solid decisions about our future and plan to do some fun things as we get older. setting it up. Have fun spending money that you actually have, and NOT worrying over borrowed money! flexibility could have been an opportunity for messy and wasteful spending habits to occur. mentoring she has revealed the tips and tricks to become a wise and organised young adult. The Spending Planner program has guided me to identify and set achievable goals. I’ve highlighted wasteful habits and the program has made me accountable for upcoming bills and financial commitments. Setting priorities has restored effective and responsible practices. I am extremely grateful for the time Anthea put into understanding my needs, goals and preferences. With this Spending Planners Program I have been able to learn the techniques and develop habits to keep me free from the cycle of debt. ongoing hard work and enjoy the security of having money set aside for any setbacks. I feel like I’ve been living in the dark most of my life, financially speaking, but Anthea and Bright Spenders has come in and true to her name, she brought me into the light a bit and I feel like I’ve got a little bit more control over my money and my life. where my money is going and am finding it much easier to keep track of my funds and to not overspend. I find that my priorities are automatically shifting now that I can clearly see how and where to put small pots of money away gradually to build my wealth. I would totall recommend Spending Planner! Our eldest daughter transformed her own financial situation from living with a large debt, to owning several properties and having debt under control. She told us about the Spending Planner Program that she followed to turn her situation around and we decided to give it a go. There’s no point in following the same strategy and expecting a different result. I grew up with post war rationing and frugality as a mindset. We grew our own vegetables and even generated our own electricity! I bought out my father’s property and then had assets but a large mortgage. Four children and Interest rates of 18 to 22% found us moving from the country to city. My wife’s business became quite successful, but spending continued to expand. Bright Spenders took us step-by-step through the program and now we have a really clear picture of exactly where our money is going and can make empowered decisions based on that knowledge. John. H, Shute Harbour, Qld. The ONE thing which you can never get back is time, and that is what the Bright Spenders ‘Spending Planner Program’ saves you and gives you. Could you finally get ahead and save for your big dreams on your own without ‘The Spending Planner program’? Sure you could, but why? Why should you go through all the trouble, trials and tribulations that I did? Let me make a pretty bold statement. In today’s day and age of information overload, for anyone to learn through trial and error is completely absurd. Especially, when you have someone right in front of you who has laid it all out for you in a complete step-by-step format which is ready for you right now. Continue on at your own pace, tracking everything you spend, writing out budgets, taking advice from friends, reading books, listening to podcasts, and trying apps that will help you along the way. Someday you may build enough savings to support you and the lifestyle you desire. Make the same decision which thousands of people have already made and that is to let me teach you, hold your hand and give you the instruction and training which you rightfully deserve. YES Anthea! I want to learn the exact strategies and techniques which have been proven for paying down debt, accelerating savings and building wealth for over 30,000 individuals and families. I want to fast track my savings! The Spending Planner & Debt Buster Program is a winning formula. There’s no doubt about that. Whilst I love the teaching and helping – the consulting hours can be a big stress on my time. I plan on offering the Spending Planner program for many years but I can’t guarantee I’ll keep one-on-one mentoring in the program forever because of the number of people and opportunities pulling at our time. So grab this opportunity while it stands in its current form, where we personally help you put in place a strategic plan for what to do next and how to do it. I wish you the best of success with your wealth creation moving forwards. P.S. Remember, this is not some off-the shelf, teach-yourself system. We’re going to hold your hand every step of the way. Apply what we teach you and you’ll have your fully-customised-to-your-lifestyle Spending Plan up and running in the first month. It’s a proven system that has changed the lives of over 30,000 people around Australia and the world and cost me over 12 years of my life to learn and develop. It’s worked for countless other people just like you. And It’s 100% guaranteed so you can’t possibly lose money. The Bright Spenders Spending Planner Program is a Savings Accelerator program that is by Application Only for people who are dissatisfied with the speed at which they are paying off debt and saving, or simply just not getting ahead and want to dramatically change that. just want everything ‘done for you’ without having to do anything yourself. The Bright Spenders Spending Planner program helps people like you finally get ahead with their savings so they can reach their lifestyle goals faster. Speak to our friendly team today for a complimentary consultation about your current situation, what you’d like to achieve, find out more information and see if we are a great match for each other.